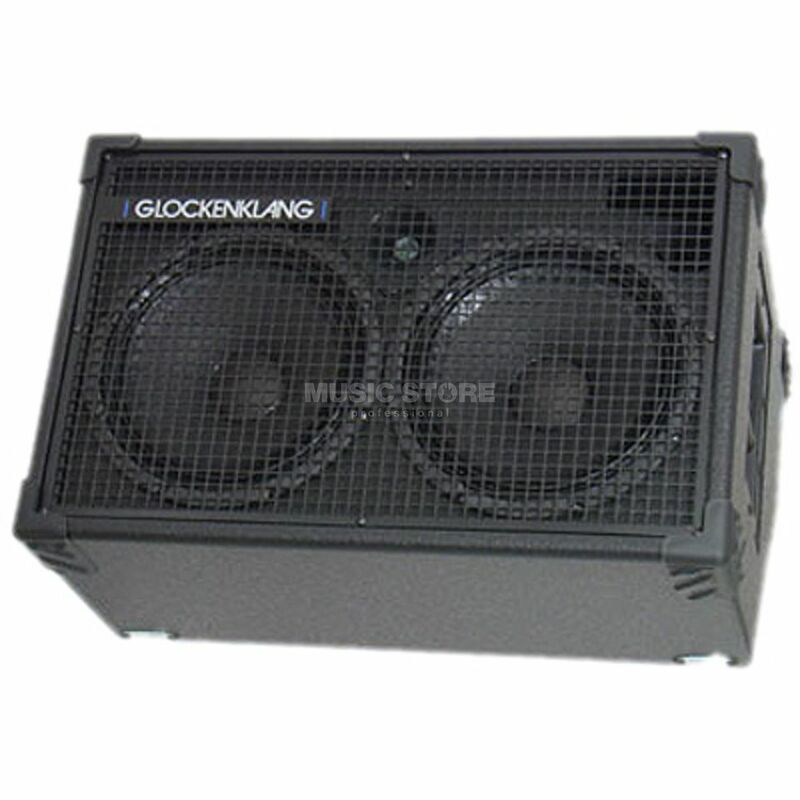 The Glockenklang Duo 2x10” Wedge 4 Ohm Bass Guitar Amplifier Speaker Cabinet is ideal for use at small venues and at rehearsals as either part of a larger rig or as a front of house monitor. The Glockenklang Duo 2x10” Wedge is equipped with a pair of custom designed 10” Volt speakers that are joined by a single adjustable tweeter. This setup is rated to handle 400 Watts at 4 Ohms provides a remarkably even frequency response across its entire 40Hz – 18KHz range, with smooth highs and warm lows being particular highlights. The speaker selection of the Glockenklang Duo 2x10” Wedge cabinet is housed in a sturdy Birch-ply cabinet that is front ported to further improve the overall tone. The cabinet features a wedge-style design that allows it to be used both standing up lying back at an angle. This helps to greatly improve its versatility as it allows the cabinet to be used in a number of different situations. The rear of the cabinet is equipped with a pair of Speakon speaker connectors and a level control for the variable tweeter.